The Redgum Bar and Bistro is open 7 days a week for lunch and dinner. Our chef prepares a wide array of meals, from traditional pub food to gourmet dishes bursting with local flavours. Try the deboned Harrietville Trout, which has long reigned as a favourite on the menu. Our pizza bar is also renowned for its selection of delicious, homemade style pizzas, which you can eat in or takeaway. Play a game of pool as you watch our 106cm plasma TV, or step out into the beer garden, where you can enjoy a glass of locally produced wine. We also now have Foxtel Live Sports in the bar so you can enjoy all the live action while you kick back and relax. Our venue caters for large groups, functions and weddings. Contact us today for information about our function room. Local produce served with dipping breads and raw vegetables. Local whole trout, deboned and oven baked. Bangers, mash, lashings of gravy! Thick, beautiful, prime scotch fillet, cooked your way. Sauces: mushroom, pepper, gravy or garlic butter. Old fashioned, like mum made, mash, bacon & lashings of gravy! All of our pizzas are made fresh, in house, to order. The dough is prepared fresh every day by our Chefs, using the freshest hand picked ingredients. See black board in the bistro. All mains served with chips & salad, or chips & veggies. 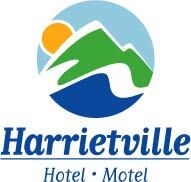 © Harrietville Hotel Motel 2018. Site by Locus Focus.